Plastic in the Ocean is currently one of the most important environmental threats our planet is facing. The oceans cover this planet. They form the clouds that bring us fresh water, produce food and oxygen. Our oceans give us medicines, jobs, energy, enjoyment opportunities, etc. 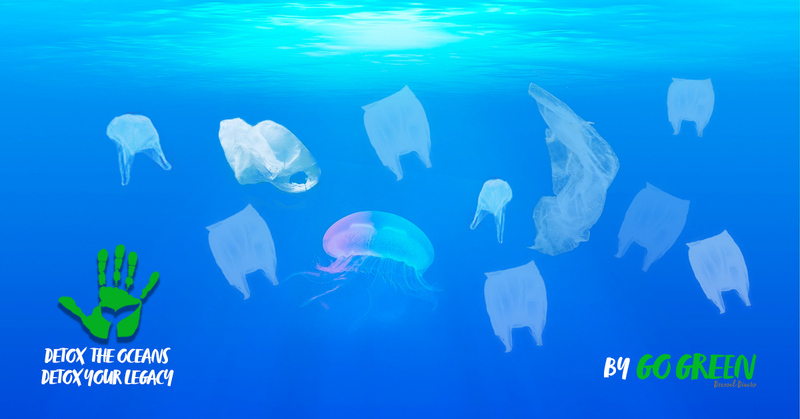 However, plastic debris already appear in every ocean of the world. Plastic in the Ocean: Some data. Currently, the scientists calculate our oceans carry around 250.000 tons of plastic. If nothing changes, “by 2050, there will be more plastic than fish in the world’s oceans”, World Economic Forum’s study says. For that reason, we have asked to ourselves a simple question. What can we do to change this? The answer is in this document. 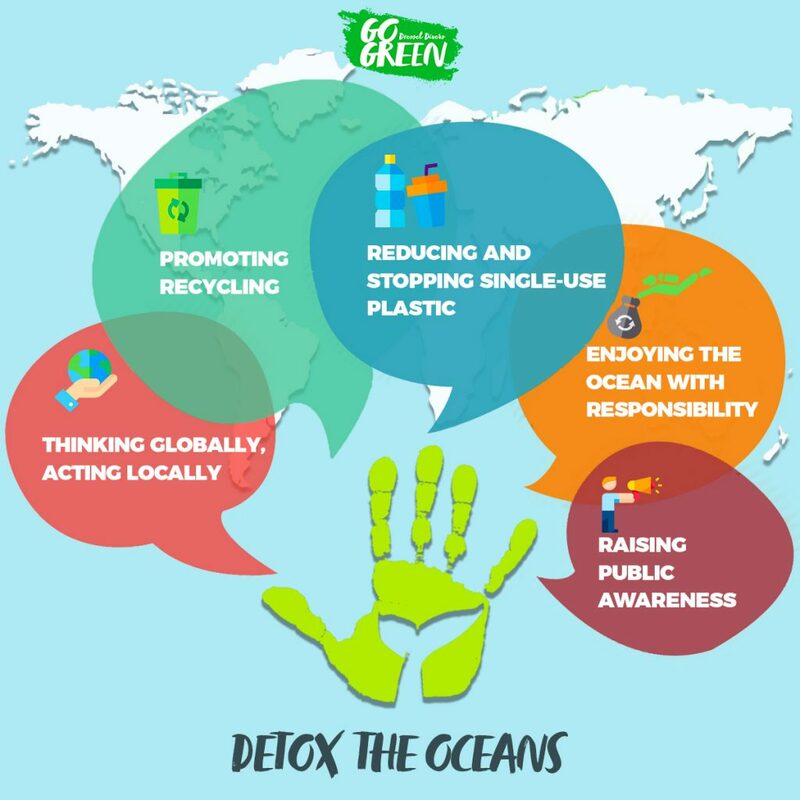 “The Go Green’s Manifesto Against Plastic In The Ocean” is our propose to detox the oceans, to detox our legacy for future generations. Thinking globally, acting locally against plastic in the ocean. We have to assume our responsibility. All of us contribute to the ocean plastic increasing. Luckily, we can help to also decrease this by just changing our daily behavior. Consuming in a responsible way. Reducing plastic use, and especially of single-use plastic items. Promoting green and circular economy best practices are a must. 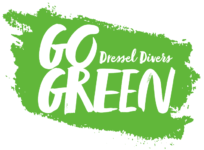 Dressel Divers contributes to facilitate the whole life cycle of the plastic products through recycling (including deposit systems for beverage containers or diving gear). Enjoying the nature and our ocean with responsibility. Following the sustainable diving practices is a must to Dressel Divers. It includes to collect possible waste/garbage we find during the dives and never, ever throw any garbage in the sea. Raising public awareness and promoting a responsible behavior through participatory initiatives against plastic litter. It is not only about cleaning up our oceans and beaches, but also about increasing the knowledge on the causes of oceans plastic pollution.